If I were to tell you what I did in the garden this week, it wouldn’t seem like much: I picked beans and tomatoes. At least, that is what it felt like. Really, though, I didn’t too much in the garden this past week, because I did do a lot of picking, canning and freezing. 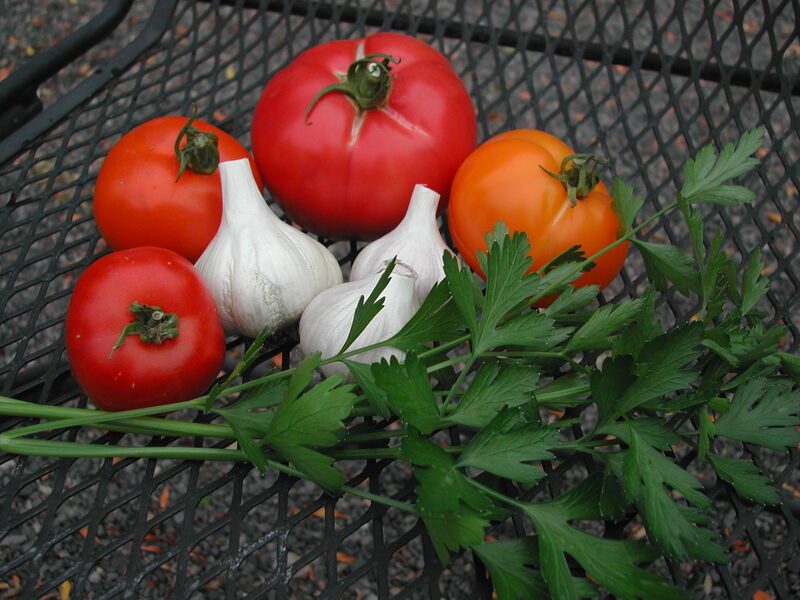 So instead of talking about the garden, I am going to share a few recipes that are perfect for this time of year. The first is a bit late, but you may get a chance to try it before local watermelons are gone. The rest are based on late summer crops. Maybe you can give one or two a try. And now I need to get back out and pull some weeds. I got this recipe from Bethany, a customer. I took it to a neighborhood potluck, where everyone loved the combination of flavors. Steven and I discovered this in Egypt, hence the name, transliterated from Arabic. 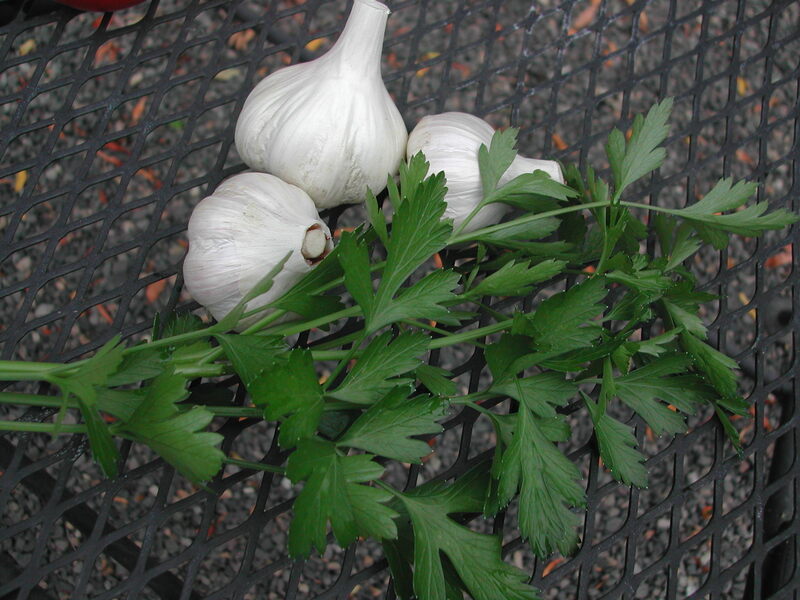 Crush the garlic with salt, add cumin, vinegar, parsley and oil. Slice the tomatoes about 1/2 thick. Dip in the garlic mixture and arrange in a serving dish. Or make a vertical cross-incision in small tomatoes, leaving the base intact, stuff with the garlic mixture and arrange in a serving dish. 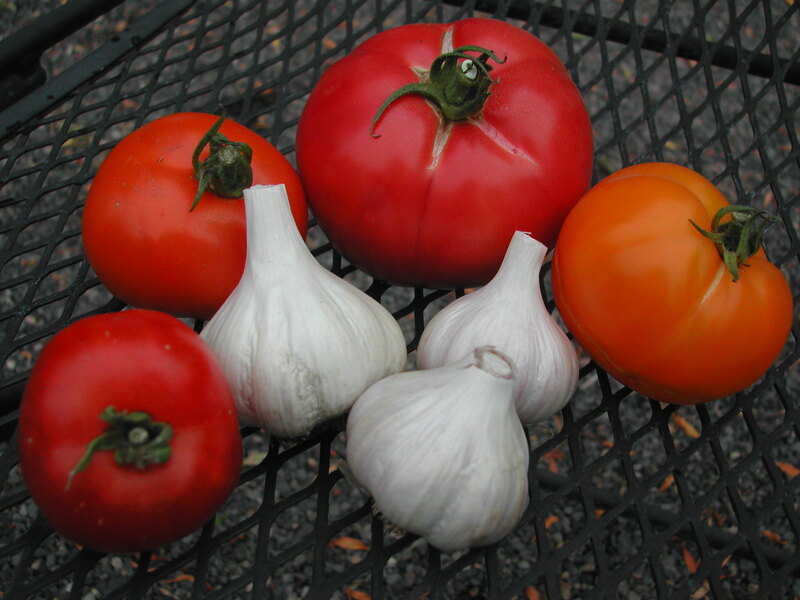 Or you can do what we usually do and just chop the tomatoes into chunks and mix with the garlic mixture. This is vibrant! We just had this for dinner last night. I didn’t let it stand for 4 hours…I didn’t start making it until about 6:30 pm. It was still good and the leftovers will be even better. I put a range on the vinegar, because Steven doesn’t like too much vinegar. I would use the full 1/4 cup. 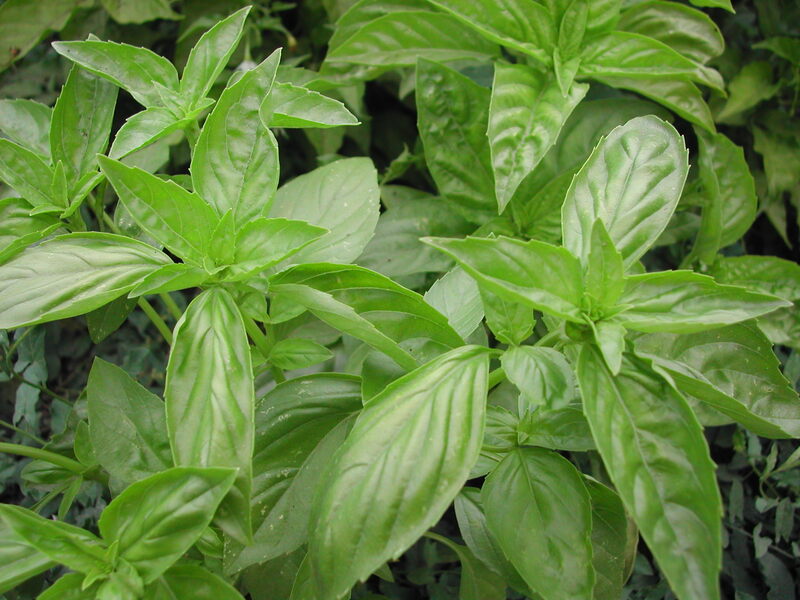 In a large, non-reactive bowl, combine the tomatoes, onion, basil, vinegar, oil, garlic and sugar. Let stand, covered, at least 4 hours. Serve with pasta or spaghetti squash. This last recipe is from Aimee, another customer, who has lots and lots of great cooking ideas. Her comments are included. Ratatouille, the classic vegetable stew of Provence, is featured in all the small restaurants along its coast. Vegetables for ratatouille are usually prepared separately and not combined until the end. Here everything is cooked together. I don’t bother to peel the eggplant, but do so if you wish. I recommend Japanese eggplants for this dish. 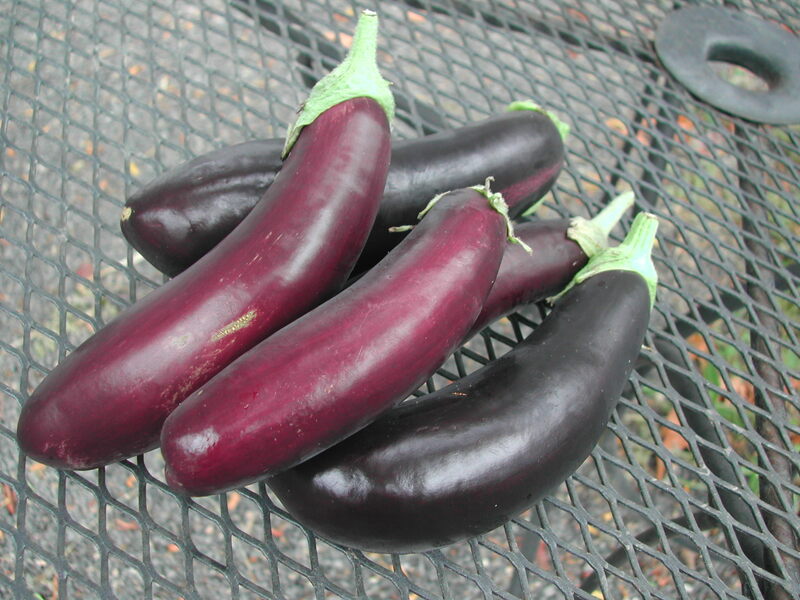 Long and thin, they are firmer and have fewer seeds than regular eggplants. For the penne: Bring 3 quarts salted water to a boil in a large pot. Add the penne and stir it in well, so it doesn’t stick together. Return to a boil, stirring occasionally, and cook for 10 to 12 minutes, or until it is cooked to your liking.